Making green pistachio macarons, squeezing and adding cream filling from pastry bag. Macaroons - delicious and beautiful french dessert. 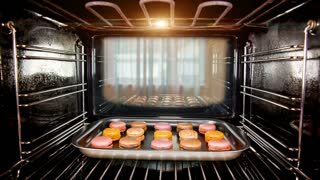 Cooking, food and baking, pastry concept. 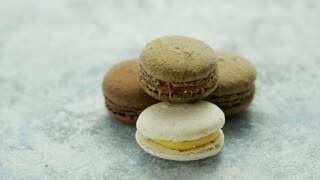 French macarons - meringue cookies with ganache or buttercream filling. 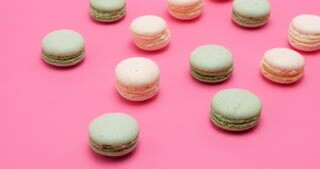 Colorful macaroons rotating, horizontal view , slow motion. Cooking, food and baking, pastry shop concept. Macaroons - delicious and beautiful french dessert. Making pink macarons, squeezing and adding cream filling from pastry bag. Cooking, food and baking, pastry shop concept. 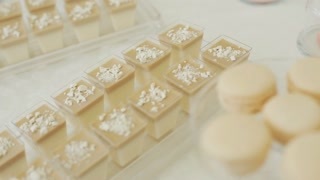 Caramel isolated macaroons cake rotating. French macarons - meringue cookies with ganache or buttercream filling. Cooking, food and baking, pastry shop concept. Colorful macaroons rotating, horizontal view. Cooking, food and baking, pastry shop concept. French macarons - meringue cookies with ganache or buttercream filling. Traditional Christmas Themed French Macarons.